The Millennium Trilogy has long been my favorite series and it’s protagonist, Lisbeth Salander my ultimate heroine. When I started reading Stieg Larsson‘s best-selling novel, I was easily consumed in the complex and dark world of the Hacker Republic, transported to the cold streets of Sweden and smelled the aroma of morning coffee served during the morning hustle in the offices of Mikael Blomkvist. I remember watching the original Swedish movie adaptations after finishing the series and still I preferred the American version (Yes! I like Daniel Craig as Blomkvist and Rooney Mara as Salander, so sue me). I was so fascinated on how Larsson was able to write such intense and complex characters and create intricate storylines. He was able to weave in the suspense masterfully without making the reader go tired of the mysteries and plot twists along the way. I felt I was with Lisbeth and Mikael every step of the way, discovering each cover-up and unveiling the truth. Since the death of Larsson, I know that there have been legal disputes over the rightful claim of his works. Though it’s sad that his work has been tainted with qualms over “who gets what”, fans were surprised when it was announced that a fourth book will be coming out in the continuance of Salander’s story. From what I understand part of the legal dispute is Larsson’s manuscript which is believed to be the fourth installment of the Millennium Saga. So the news of the fourth book instantly included whispers that it may be Larsson’s last manuscript. But when the official news came in that a new author will be writing Lisbeth Salander’s story based on the already published books and will not contain any material from the alleged “manuscript”, fans and critics were skeptical about how the book will continue without one of it’s most important ingredient, Stieg Larsson. To be quite honest, I wasn’t quite sure how David Lagercrantz will continue the Millenium saga and which storyline he’ll choose to explore. I’m not familiar with his works so I don’t really have anything to compare it to. So this review, may (will) come off bias at certain points. It’s an ambitious feat to take over such complex characters and Stieg Larsson has already laid out an intricate story framework for David Lagercrantz to expound on. 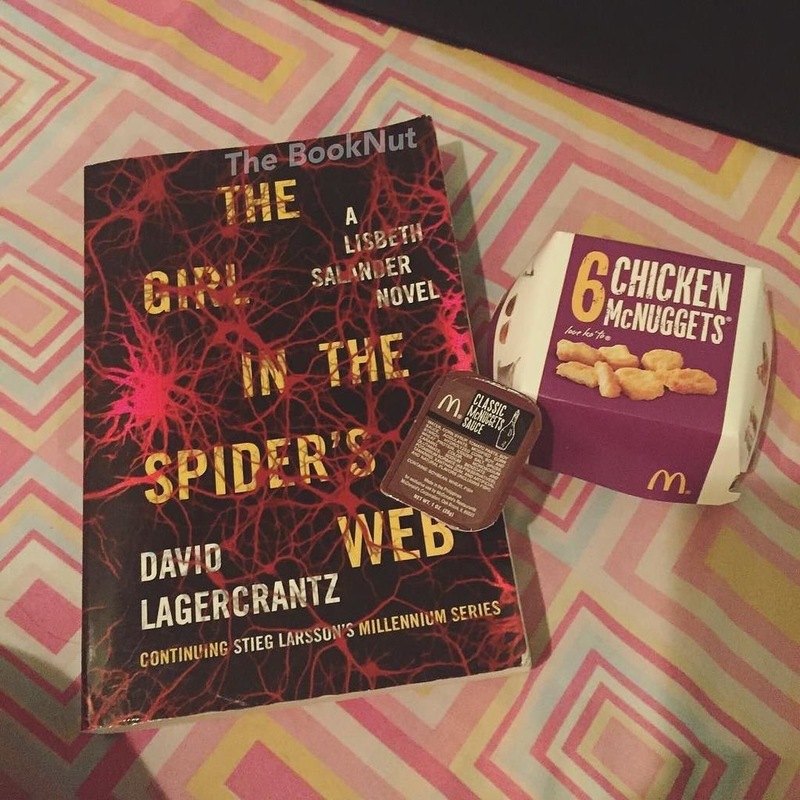 Choosing to start the book with a security breach at the NSA, an alleged theft of a highly classified AI and a shadow group doing work in the background definitely sets the mood of The Girl in the Spider’s Web. Lagercrantz was able to introduce interesting new characters into the fold while making sure they exist harmoniously with the current list of people involved in Mikael and Lisbeth’s lives. 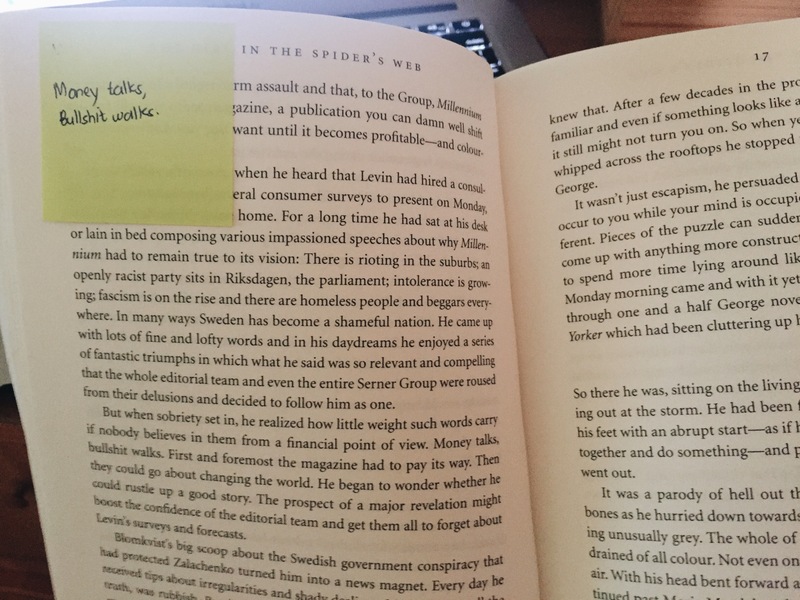 Lagercrantz kept Larsson’s style wherein each chapter is written in various points of view of each character involve, happening between same dates or same periods of time. This brings in familiarity for fans that may give them certain comfort. But several chapters in, I was beginning to feel disconnected to the story and it’s clear that I wasn’t feeling the same excitement or suspense as I felt before when I read the first three books. I felt certain chapters were told in a lengthy unnecessary manner that only added to the disconnect I was feeling. It took me several months to finish this book, with me choosing to read other books over finishing what I felt like was a different telling of my favorite character. Okay, I may be feeling too attached to the original trilogy but I think once an author makes that certain connection to you through a particular character, it’s a bond that is hard to break. And letting another voice tell her story can always go either way, it could be a refreshing success or a failed attempt. Unfortunately for me, it’s the latter. The book’s ending seems to beckon a fifth book, I’m not really sure if there’s already official word on it but I don’t think I’ll be anticipating that release soon enough. 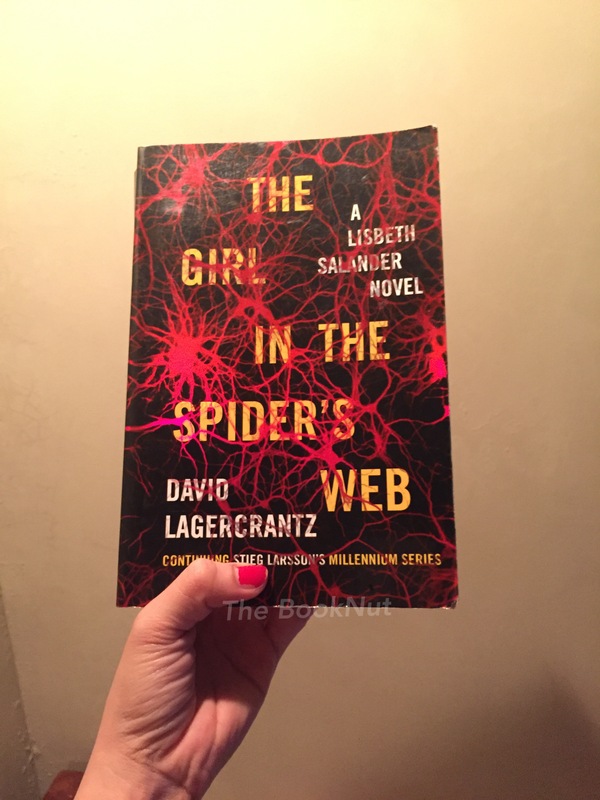 For me, Lisbeth Salander’s story already concluded in The Girl Who Kicked the Hornet’s Nest.